The BDR Savannah Half Marathon route will run along tree-lined streets and showcase the scenic squares in the historic district. Expect a flat and fast course that starts and finishes at Forsyth Park. This is a short walk (less than 1/2 mile) from our host hotel, The Desoto or a quick Uber/Lyft ride (5 mins/1.5 miles) from other host hotel, Savannah Riverfront Marriott. Course nutrition will include Gatorade, GU Energy Gels, & water. This course provides 9 aid station opportunities with 2 port-a-potties per station. 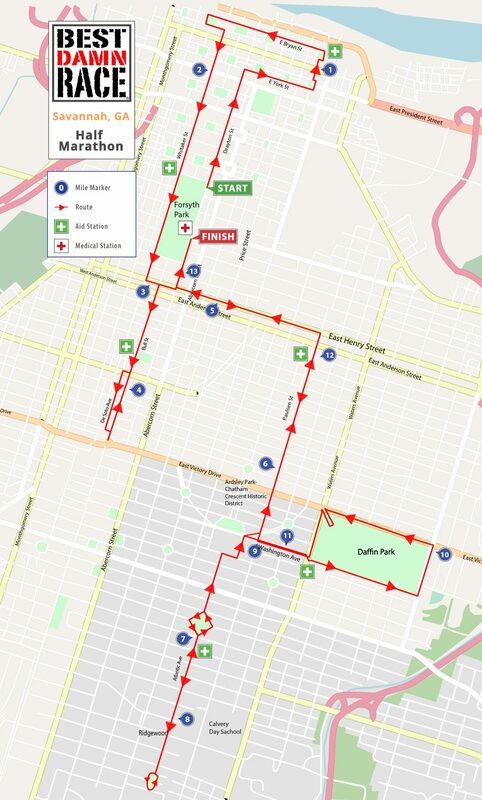 The Half Marathon is a USATF Certified course. 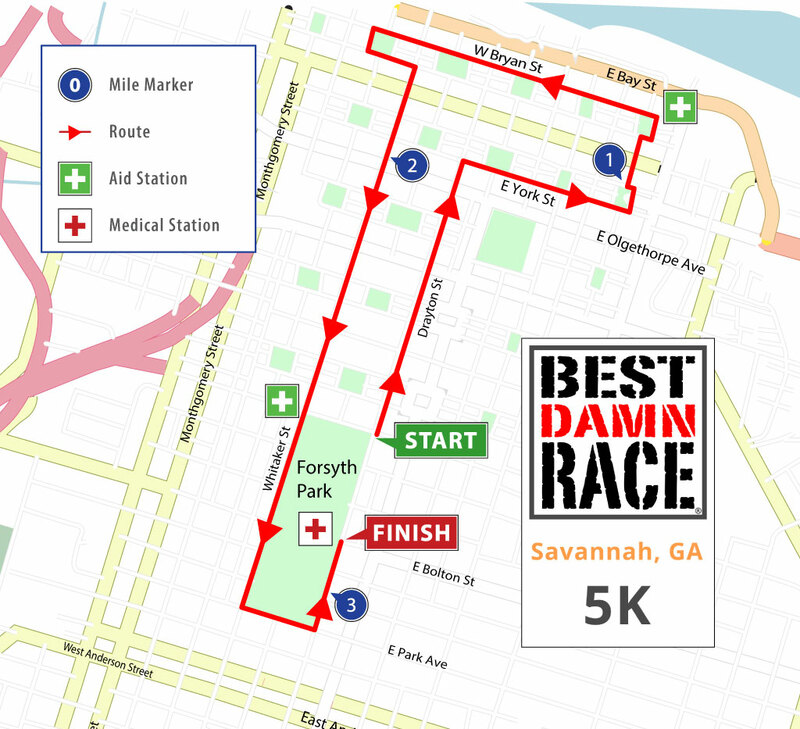 The BDR Savannah 5K route will start & finish in the same location as the half (Forsyth Park) and will include some of the scenic and historic squares of Savannah. The 5K is a USATF Certified course.